This is a sample listing only. These sets are made to order. 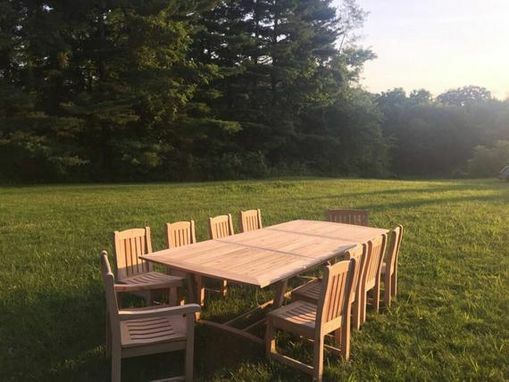 Reclaimed material can be used based on availability. 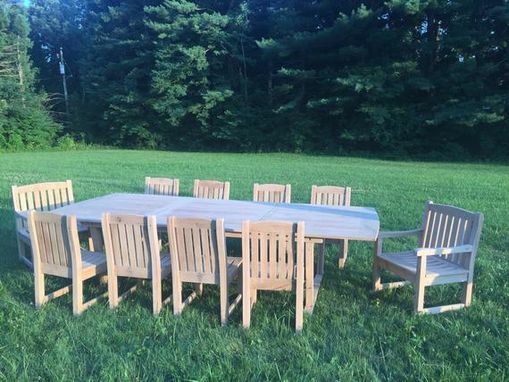 Oak outdoor Slat Table with eight standard chairs and two captains chairs are pictured. Slat tables and chairs are designed for water to pass through the slats so it will not pool on the surface. These are high quality sets built to last a lifetime. 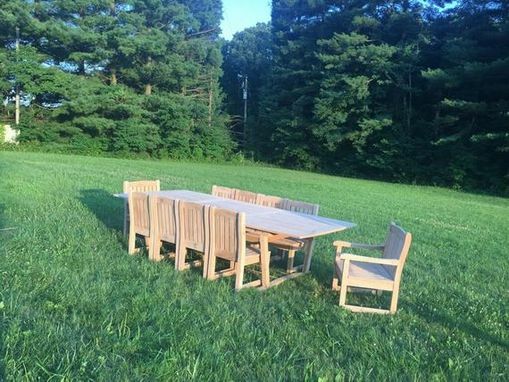 We can build any size or shape slat table you desire with any amount or combination of captains or standard chairs. Every maker has a story. Be a part of Hawk Eye Hand Crafts's story by placing an order, leaving a review, and seeing your review appear here.